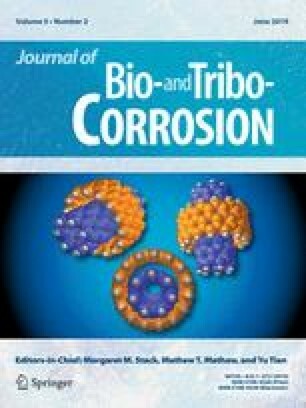 This study was carried out to investigate the corrosion resistance of Al–Si hypereutectic alloy in 5.0% NaCl solution using BMW 5 series piston head. The corrosion behaviours were investigated through immersion and electrochemical corrosion tests. The immersion test was carried out for 7–28 days, whereas for electrochemical test the exposure time was only about 15 min. Hardness test and microstructure study were carried out on samples before and after corrosion test. It was found that the dark phase is silicon and the white area is aluminium. The silicon dispersed in aluminium alloy. It was also found that corrosion rate of the Al–Si hypereutectic alloys decreases as exposure time increases in immersion corrosion test. This was due to the formation of thin and protective corrosion product on the metal surface that acted as barrier between the metal and the environment. The corrosion rates of immersion test were more than electrochemical test due to high concentration of oxygen ions in the solution. SEM/EDS analysis confirmed that all metals suffer from uniform and localized corrosion, namely pitting. The localized corrosion is mainly due to breaking of oxide layer. The hardness was also confirmed to decrease as the time immersion increased. The Staff Members in the Department of Materials, Manufacturing and Industrial Engineering, Faculty of Mechanical Engineering and ISI, Universiti Teknologi Malaysia are sincerely appreciated for their financial and technical support during and after this work. This work was partially supported by the Ministry of Higher Education of Malaysia (MOHE), Research Management Centre, Universiti Teknologi Malaysia, through GUP No. 20H28. On behalf of all authors, I state that there is no conflict of interest.